With the holiday season now in full swing, things are going to start getting crazy. Dinner parties, cookie swaps, presents to give- it gets a little overwhelming. 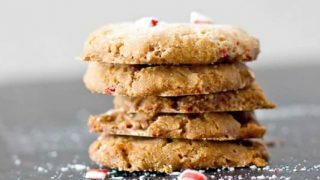 So I made this recipe for 4 Ingredient Peppermint Cookies that you can make when you need a sweet festive treat but don’t have time to whip up something complicated. 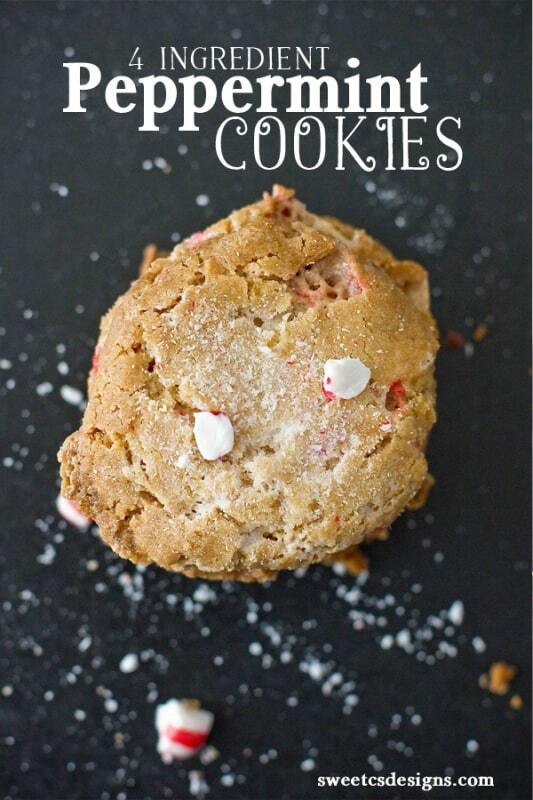 One note: you will need to finely crush the peppermint that you add to the cookies. 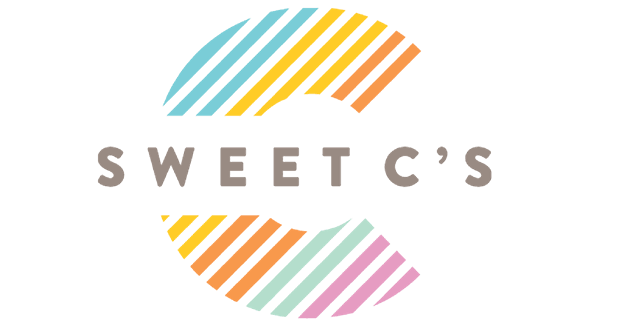 If you don’t crush them enough, the candy will melt and destabilize the cookie and give it a funky appearance. 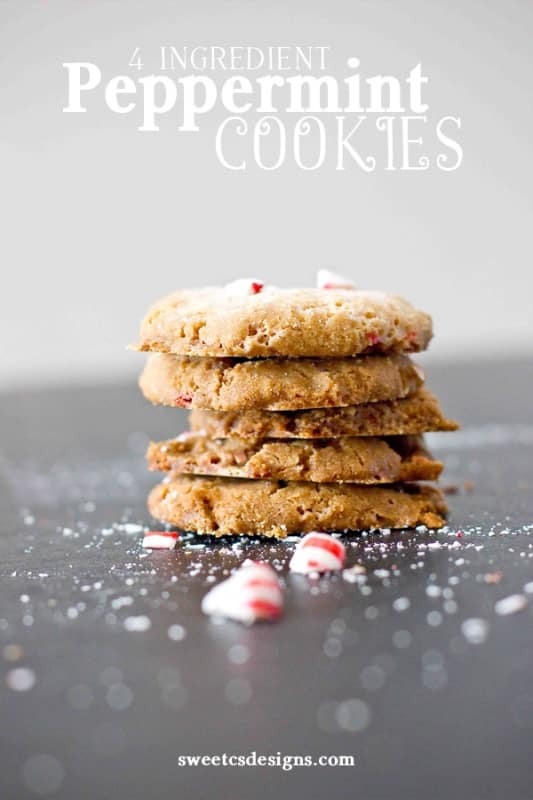 That’s why you will see two amounts of peppermint candies- one to add with the dough that is finely crushed, and larger chunks we add to the cookies partway through baking when the cookie have already set. You’ll want to add these about 3/4 way through baking- when cookies are almost browned and aren’t rising anymore- about 8 minutes in. You can use candy canes in place of peppermint candies, too! These little cookies are so delicious and festive, and make fabulous gifts. I like to make them a bit smaller so they can fit into mason jars as a gift- but they can be made to just about any size. If you like these, be sure to check out my 4 ingredient Reese’s Cookies and 4 Ingredient Butterfinger cookies! In a blender, finely crush 6 peppermint candies or one candy cane until very fine. Add to large bowl with melted butter, cake mix, and egg. Bake at 350 for 8-10 minutes until cookie is set- just before it turns brown on the edges. Roughly crush 4-6 peppermint candies (I use a cast iron pan to smash them while still in the wrapper). 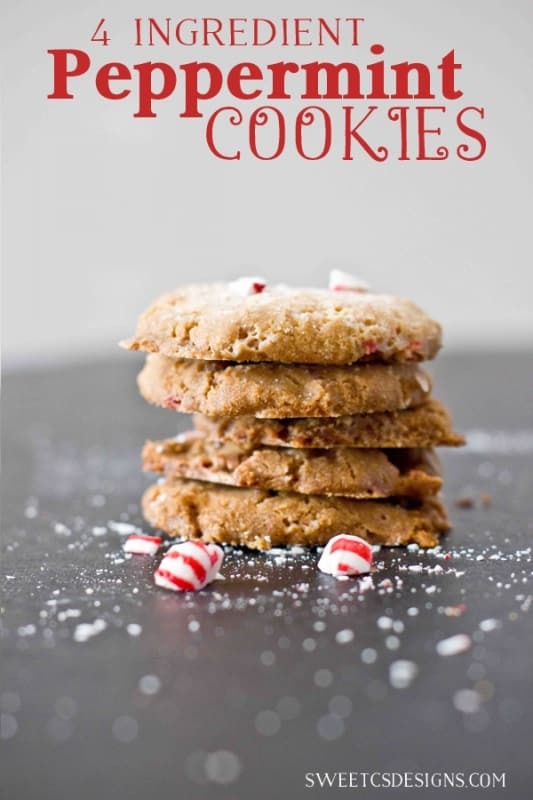 Sprinkle rough crumbles of peppermint over cookies, bake for another 5 minutes until brown around the edges.